Since it finally feels like winter around the Philly area, I'm beginning to break out my winter accessories (and maybe buy a few more..LOL). 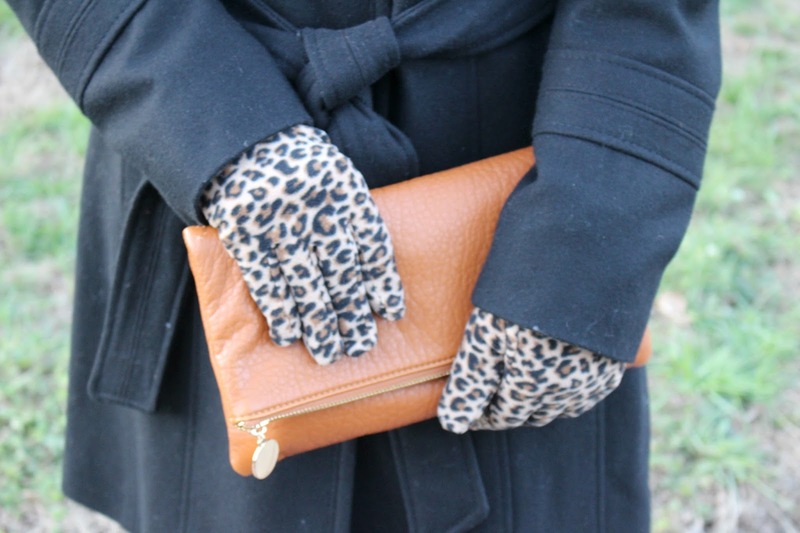 I recently purchased a pair of isotoner smarTouch Fleece Gloves in leopard print. I found mine at Marshalls, but they are available at isotoner.com and on sale for $25.95! I love the stretchy fleece material and the smarTouch touchscreen feature allows for touching your phone screen without taking off the gloves! Check them out- there are a bunch of colors and patterns! While shopping at Boscov's with my mom last week, we discovered that all isotoner winter accessories were 75% off! She bought a few pairs of gloves, and I snagged this stretch fleece headband that matches my leopard gloves. 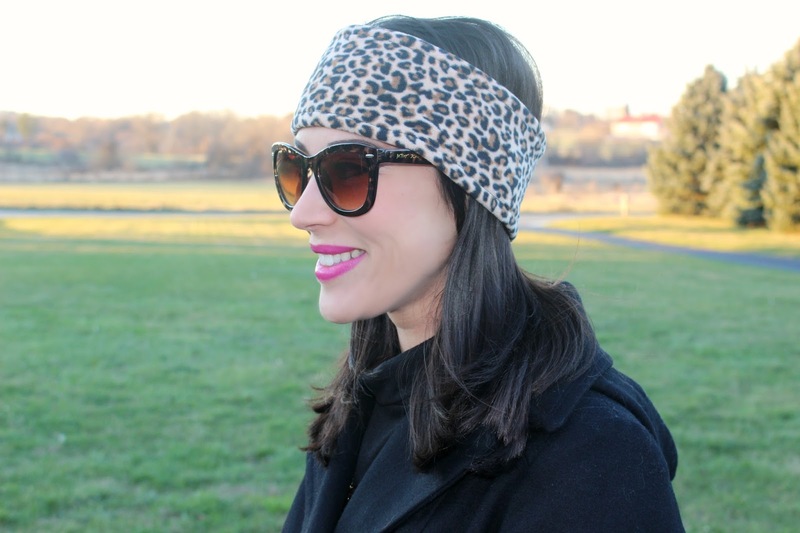 This headband is so soft and keeps my ears warm without having to fuss with a hat. Don't get me wrong, I do love hats, but they can be a pain sometimes and cause static hair, headaches, etc. A nice alternative is a warm headband to cover the ears and forehead. I couldn't find this headband on Boscov's website but I did find it on Belk.com for only $5.40!! If you don't like the leopard, there are other colors and patterns available. 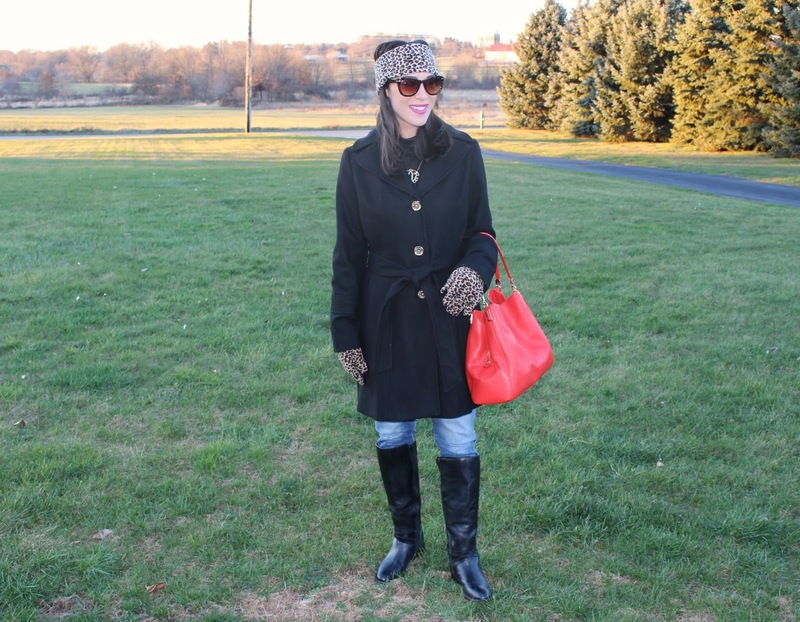 I styled this outfit with two different bags because I had trouble deciding which I preferred! 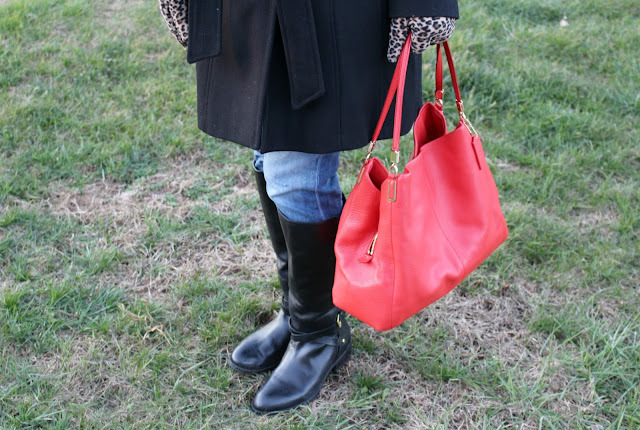 After seeing the photos, I think I like my red Coach outlet purse better (shop a similar bag here). The pop of red looks great with the neutral leopard and black coat and boots. The cognac fold over clutch looks nice too, but I do like to add a little color somewhere. What do you think? 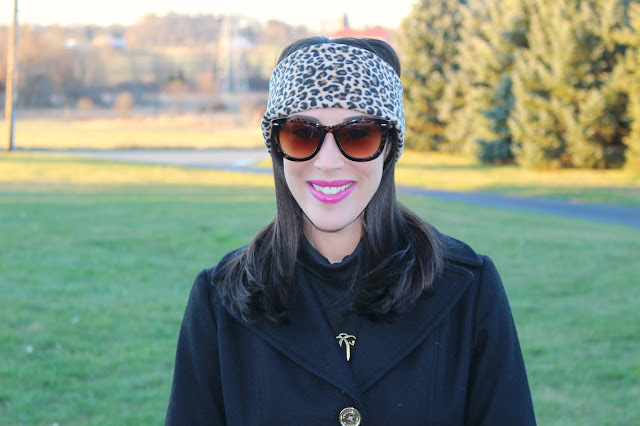 I featured my Michael Kors Hooded Belted Walker Coat on the blog before, but it's worth talking about again! I picked this up on Black Friday at Macy's and I'm so glad I did. I had been looking for long dress coat and this one is perfect. It's classy and stylish while also being warm and practical. I really like that it has a removable hood and the tie belt gives some waist shape. It's currently on sale for $119.99. SUPER CUTE gloves and head band!! Love them. I love isotoner products. LOL I know...that bag looks great with everything! I need that headband! You look great! Such a fun pattern. Keeping warm and styled to the nines. Love it! And that BAG!!! 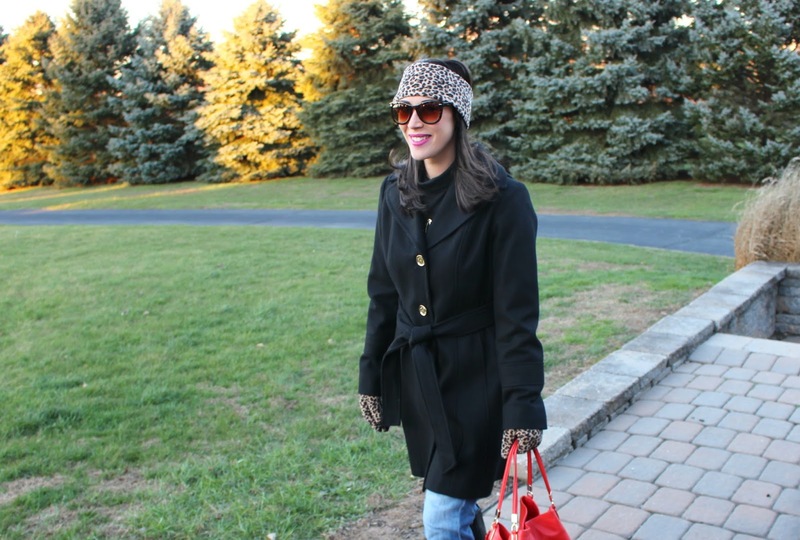 I love that headband and matching gloves..I am a leopard freak..thus the name of my blog..ha! Your casual style is stunning! Instagram Lately- Shop the Posts!